The winners were announced on Tuesday. A young Pittsburgh man, Sasha Voinov, came in first. Voinov is a classical pianist who created his own version of “Frosty the Snowman” that included traditional jazz. He got 2,450 votes. Darrel Ferris, from Metarie, La. played an Erik Satie piece and pulled in 2,400 votes. Third-place winners were Mick and Jeanie Lumpp from the Bronx. The Lumpps got votes from as far away as the Philippines and came in 500 votes behind the first and second-place winners, quite a feat, considering they joined two weeks after the contest began. What were the piano prizes? “Sasha gets the Knabe Baby Grand that was in the The Suffolk Center for Rehabilitation, a nursing home in Patchogue,” he said. That one had a story as well. It seems the facility wanted to dispose of the piano because it was in disrepair. Those interested in taking it wanted to charge the facility until Stancarone stepped up to the plate, restored it for the contest, and in return, gave them a working upright piano, because he felt that music is a harmonious soother for nursing home folks. “Darrel gets the rebuilt Steinway upright made in 1870. Jeannie and Mick get the Aeolian piano,” he said. Stancarone also has a cable show and believes that piano playing aids health and relaxation. His former career centered on stress management and he’s even developed a Yoga Piano technique that incorporates stretching and breathing as a way to relax and learn the instrument. The next contest will start up in mid-January. 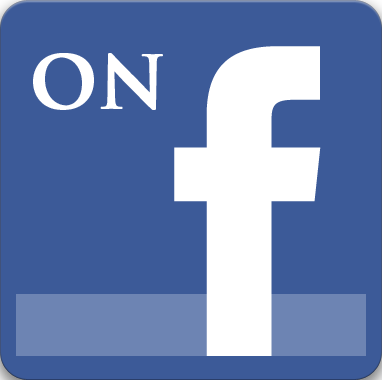 “We had 46 ‘likes’ to start with and we ended up with 900 ‘likes’ in five weeks,” he said. You can find him on www.sonnyspianotv.com. 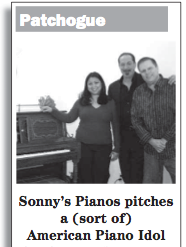 In the photo above with Sonny Stancarone are Jeannie and Mick Lumpp, third-place winners, with their Aeolian piano.